Whether you believe it or not, it really is true: if you smell good, then you are going to immediately be more attractive to women. When considering colognes it is important to note that there are appropriate scents to wear during each season. While a summer scent can be worn in the winter, it is typically not recommended. Seasonably appropriate colognes are generally more appealing to a woman’s delicate senses. You may not fully understand what type of cologne you should be looking for and when you should wear it, but that’s okay. When you are ready to find a new cologne that women will love you will find this list of the top 10 men’s colognes that women love extremely helpful. This cologne offers a fragrance that is aromatic and woody. It combines a composition of suede, leather, and cedar, mixed with tuberose, cedar leaf, rosemary, cardamom, and grapefruit. The scent is quite refreshing and is perfect for a warm spring or summer day. Nautical Aqua Rush is one of the best selling colognes for men but is also pretty affordable. The scent provided by this cologne will remind you of sailing on the ocean combined with a quick splash of coriander and Yuzu. Violet leaves, clary sage, and aquatic mint create the heart of this great cologne and give it good texture. Pour Homme Sport is perfect for the athletic male. The fragrance offers a blend of musky cedar notes combined with vetiver with touches of citrus and nutmeg. It is recommended for casual use and is the perfect choice for a man that is looking for a lighter scent. Le Male Terrible is a cologne that is recommended for casual wear. It has notes of Tonka Bean, amber, cardamom, musk, wood, cumin, cinnamon, vanilla, orange blossom, lavender, bergamot, and wormwood. This combination provides a wonderful manly scent that women are sure to love. Homme by David Beckham is one of the most reasonably priced colognes on the market today. This cologne is also a sophisticated offering that blends rich woody tones with fresh notes of spice. Its mahogany wood base provides the depth for this wonderful cologne for men. Pour Homme by Dolce and Gabbana was introduced by the company in 1994. The scent is classified as having notes of lavender and amber. This is a masculine scent that also has hints of sage, cedar, tobacco, lavender, orange and lemon. This is definitely one of the top ten men’s colognes that women love. Gucci Guilty cologne was launched by the house of Gucci and is recommended for casual wear. The cologne offers top notes of bergamot, violet, essence of calone, and essence of cypress. The middle notes include amber, sweet tobacco, jasmine, and black pepper. The base notes of Gucci Guilty are leather accord, amyris, cedar wood and patchouli. It’s a very nice cologne. Polo Black by Ralph Lauren cologne is recommended for daily use and offers a scent that women will simply fall head over heels in love with. You should use the fragrance on the pulse points on your wrist, behind your ears, and in the creases in your arms and knees for best effect. In 2012, Guess expanded its line of seductive fragrances with its Cologne Homme Blue. This was the second fragrance for their collection and has been an immediate hit. The fragrance is airy, sensual, and refreshing. The inspiration for the scent comes from the sea and is enriched with woody tones and spices. Top notes include cardamom, black pepper, and citrus caviar. 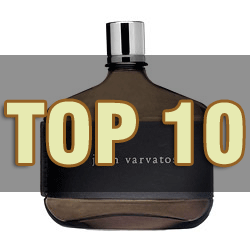 John Varvatos Artisan comes in a hand woven flask, which tells you that it is a unique cologne right away. The scent is a combination of the Indian plant Murraya combined with hints of Spanish Marjoram and Mexican Oranges. This is the perfect choice for an outdoorsy man that prefers a natural musk. I will recommend my Boyfriend to use this one. What Is The Most Expensive Cologne On The Market? Men’s Cologne : What Do Women Think?